The technology behind quality home comfort has been growing by leaps and bounds over the last few years. One of the latest innovations has been the advent of “smart” thermostats. These Wi-Fi compatible units are installed where your existing thermostat is, replacing the rotary or button-based system most of homeowners have with a convenient touch screen. The touch screen system gives you direct access to all the information you need to bring the perfect level of comfort into your home. And in some units, you don’t even have to access that information while standing at the touch screen. Many of these “smart” thermostats offer mobile device compatibility, allowing you to update temperature levels in your home from anywhere in the world. Here at Alvin Hollis, we install top of the line Honeywell Smart Thermostats in South Shore homes, helping to bring hundreds of homeowners into the future of home comfort. Honeywell is the industry’s leading producer of quality Wi-Fi or “Smart” thermostats. They offer a wide range of models and Alvin Hollis is certified to install each one. When you turn to Alvin Hollis for a Honeywell smart thermostat on the South Shore, we’ll work with you to choose the system that best suits your home’s needs. Want to learn more about Honeywell Smart Thermostats? Schedule an appointment with Alvin Hollis by calling us at (781) 335-2100 or by filling out our convenient contact form. 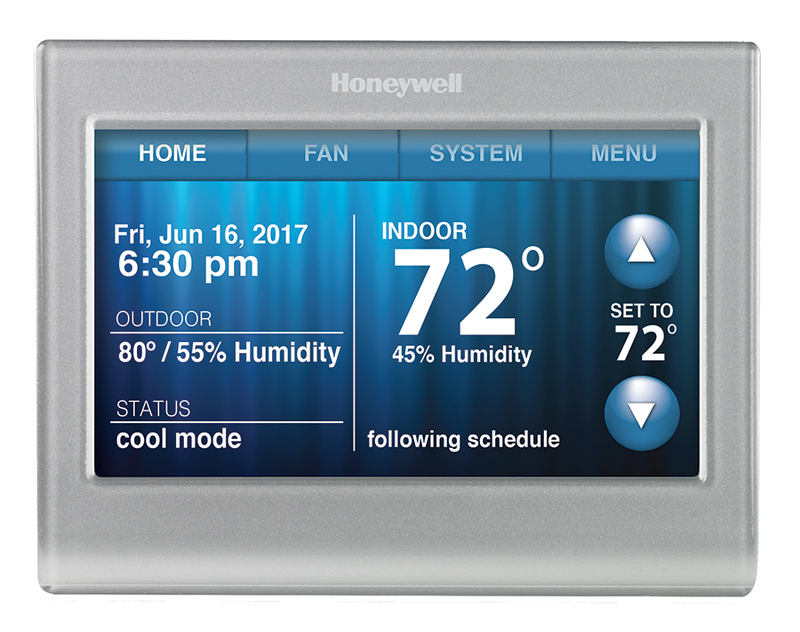 Or you can visit the Smart Thermostat section of the Honeywell website by clicking the button below.